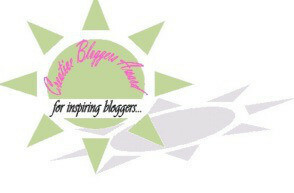 Back on January 20th, my friend PuppyDoc (PhoebeMD.com) gave me the Blogger Recognition Award. Thank you so much for thinking of my blog Puppy! Cocoa Bean Adventures – This is a fairly new blog about a pup named Cocoa and her mom, Julie. They are both SUPER nice. Scarlybob’s Blog – This blog is about two dogs named Kasper and Raiden. Their mom and dad work really hard teaching them tricks and you can find a lot of good information within their posts to help your own pups learn stuff. Tales of Tucker – Some of you might remember Tucker from the Bath Contest. He was the lab who LOVED laying in the bath tub. Anywho, he’s always good for a chuckle. Love your dog – This is my friend Fredrieka. She always has something interesting going on. Three Pups and a Couple of Kitties – This is a blog about my dear friend Ms. Margret’s golden retrievers and kitties. I LOVE Ms. Margret to the moon and back. She is so kind to us. Please stop in and say hello if you haven’t before. Mom was browsing the web when she came across a video called, “Tiny Hamster Eating Tiny Burrito”. That very same day, my blog was created. Thank you, Tiny Hamster! Write what you want to write, otherwise you’ll lose your motivation to write. Try to respond to all comments, otherwise people may stop commenting. 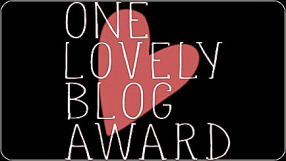 1-Select other blogs you want to give the award to (up to 15). 2-Write a post to show your award. 3-Give a brief story of how your blog started. 4-Give a piece of advice or two to new bloggers. 5-Thank whoever nominated you and provide a link to their blog. 6-Attach the award badge to the post. 7-Comment on each blog and let them know you have nominated them. Posted by noodle4president on January 28, 2016 in Uncategorized and tagged blog award, dogs, funny, humor, pets, schnauzer, Schnoodle. I was a discarded, lost little stray without a house or a family...until my mom found me. Now, I am the happiest, most loved dog in the whole world! Oh I so agree…. and I know once efurrybuddy knows your name… and they say: Hamster…who, what? Congrats to your award!!! Concatulations Noodle! You and I know about Doctor Phoebe and her kitty Samantha and were both lucky enough to get this award from her. She’s a peach. So are you – so happy you got the award too my little friend! ConCats Noodle. Have a gweat weekend. Congratulations, buddy! Great blogging advice for beginners, too. You nailed it, as usual. Congratulations on your award! Thanks for the links. We’ll be sure to check them out. We always like meeting new friends. It’s always nice to tell about our furends! Congrats on your award! An mee finks yur *puppy doggie* eyes are thee best….mee iss now tryin to make eyess like you an guess what??? Mee got xtra treetss today Noodle!! Thank you SO much for nominating us. It is so fun finding new blog friends and this makes us smile that you thought to recognize Cocoa Bean!! I am so happy I found your blog and we can follow each others adventures!! We loved your advice to new bloggers, Noodle. These 3 facts are so true. 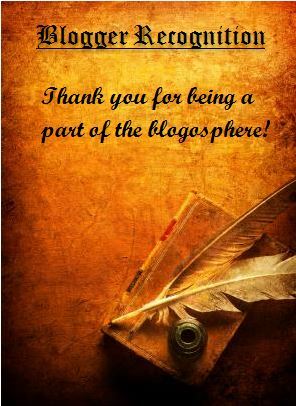 We still find it hard to gt to all the bloggers we would love to read. It’s a wonder anyone visits us…mom is so slow. Concats on getting this award.